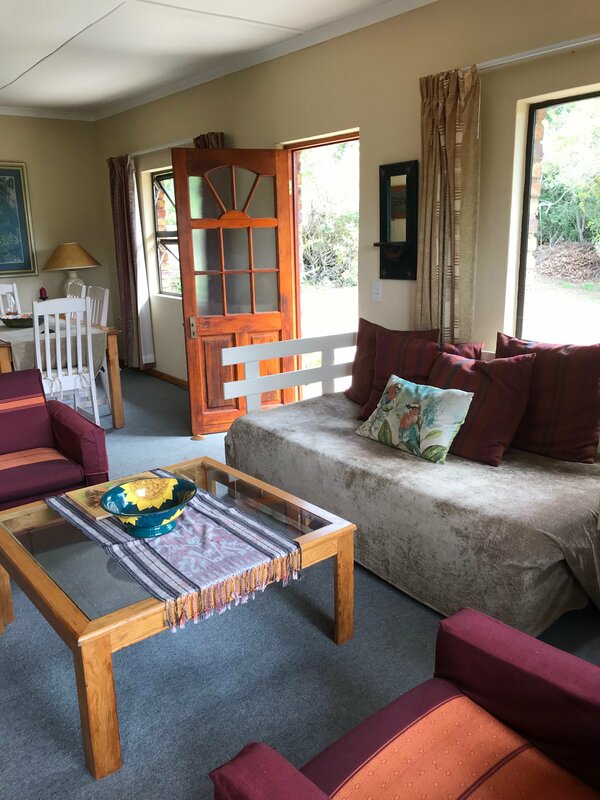 Charming modern but rustic cottage overlooking the indigenous forest in The Crags, between Plettenberg Bay and Nature’s Valley in the Garden Route, South Africa. 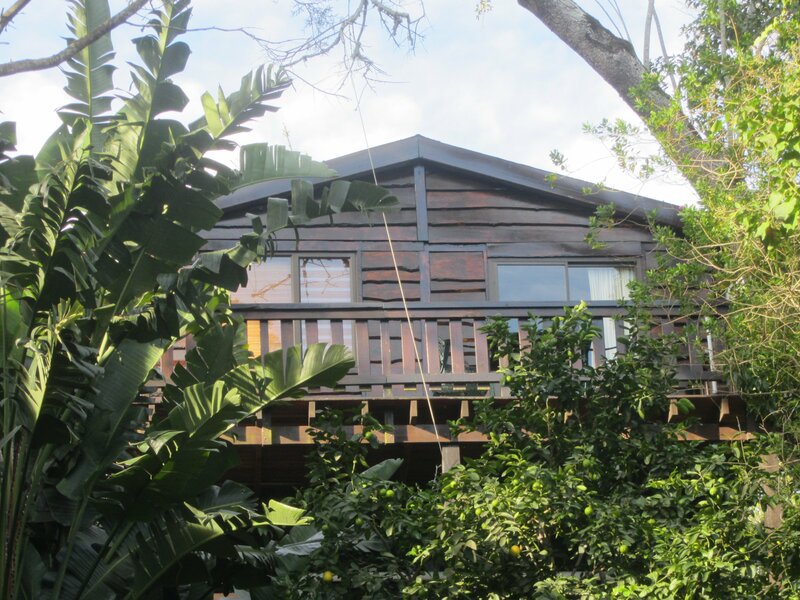 The cottage has a wooden deck overlooking the pool and forest areas. There is one bedroom with a double bed downstairs, full bathroom, self-catering kitchen, an open-plan living room/dining room area with a single settee-style bed in the living room and a separate loft bedroom upstairs which is perfect for teenagers. Sleeps maximum 5 guests. 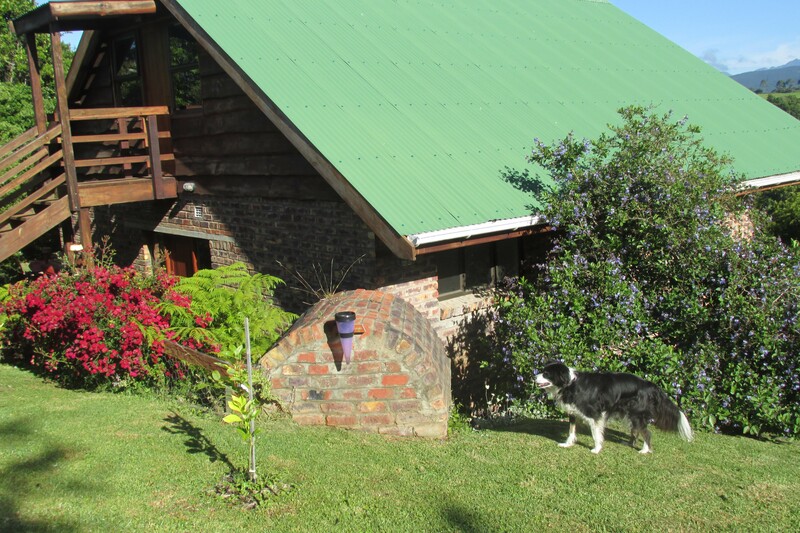 We also have two other cottages which we manage. 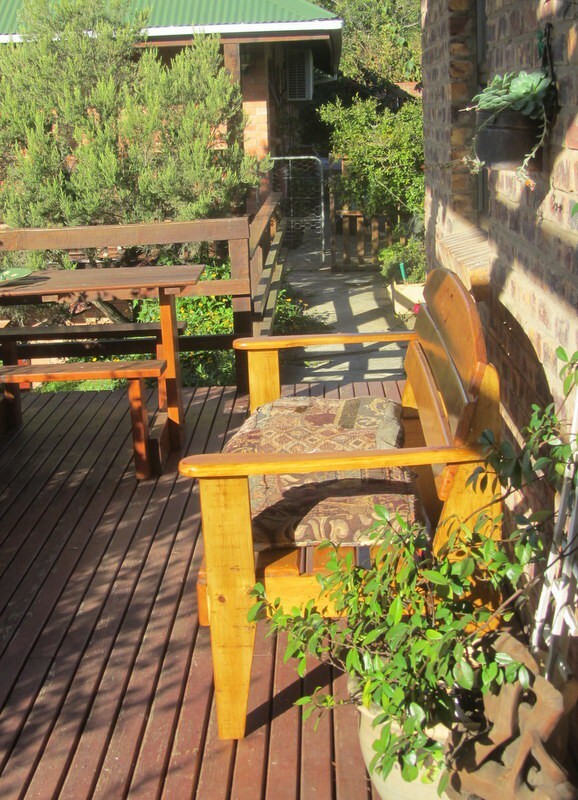 Treehouse Cottage is also in Askop Road, in the Crags and sleeps two adults and two children. 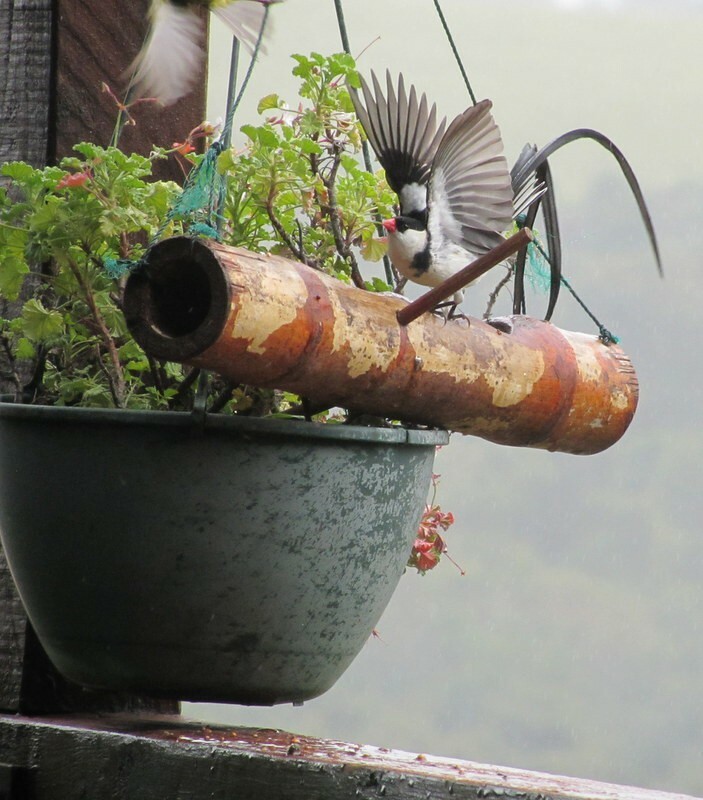 Unbelievable birdlife ! 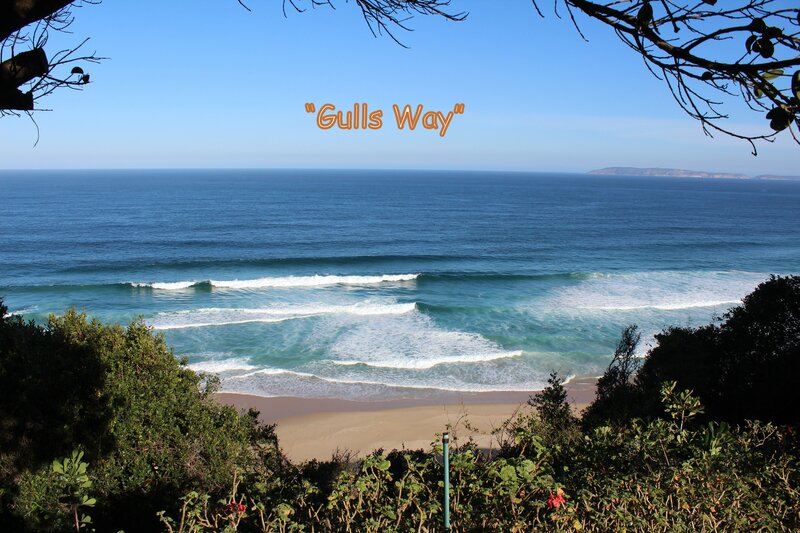 Gulls Way is in Keurbooms Strand and overlooks the sea ! Dolphin and whale sightings are an everyday occurrence. The views are extraordinary. 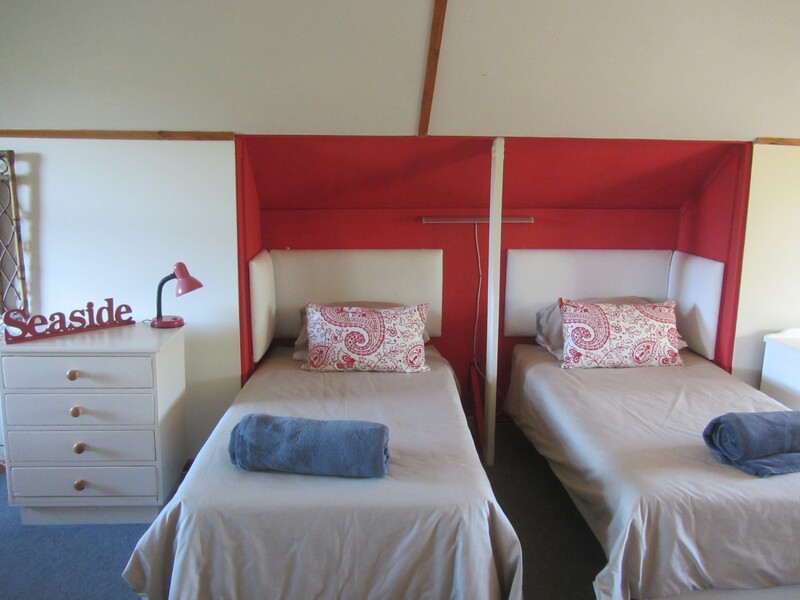 Sleeps 4 adults and 3 children. Max 5 people. 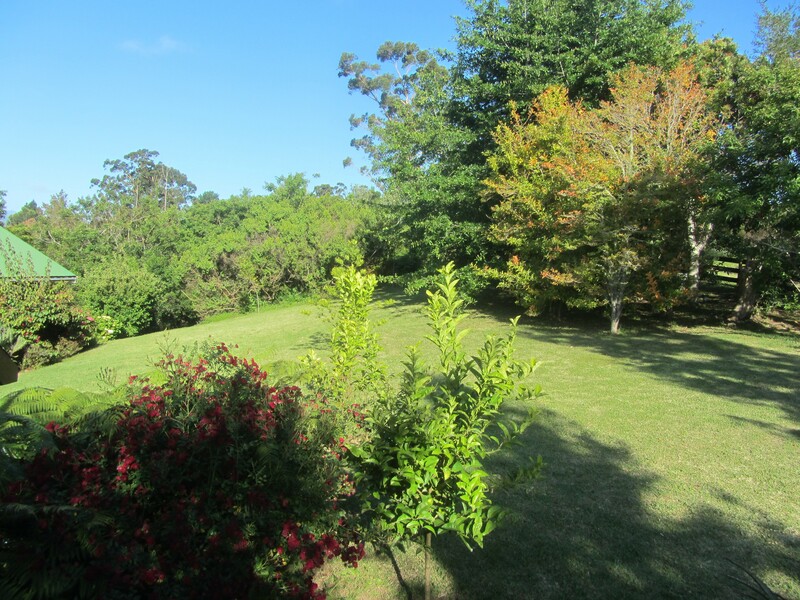 Nestled between Plettenberg Bay and Nature's Valley, in The Crags, in the Garden Route, The Carraighs offers guests a truly relaxing stay in an indigenous forest, with spectacular birdlife. Askop Road is a very quiet road, with large properties, lucky enough to still be populated with antelope, guinea fowl and other small creatures of the forest. Driving slowly down the short stretch of dirt road towards The Carraighs will mean you have a good chance of spotting a bush buck! 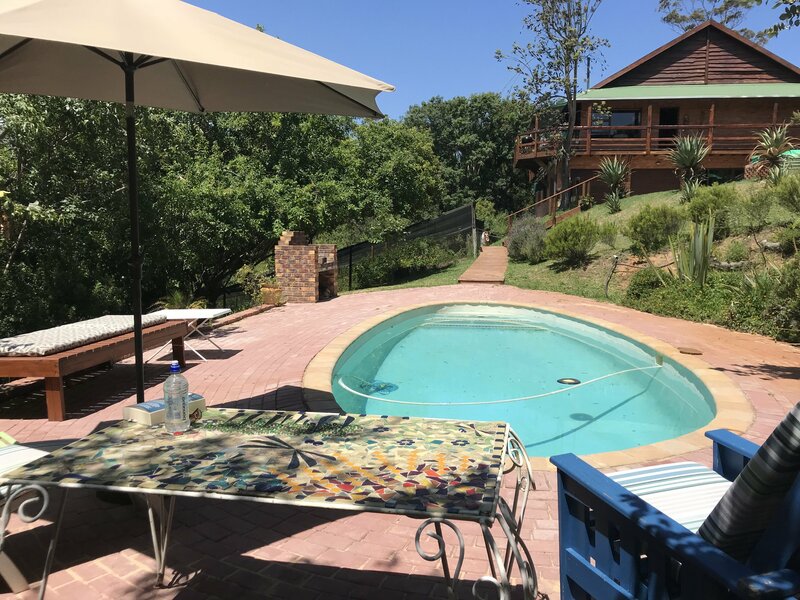 The secluded location offers privacy, but the cottage is conveniently located within a 17km drive distance to Plettenberg Bay with its many shops and restaurants. This lovely and comfortably furnished two-storey cottage has a main bedroom downstairs, with a double bed. 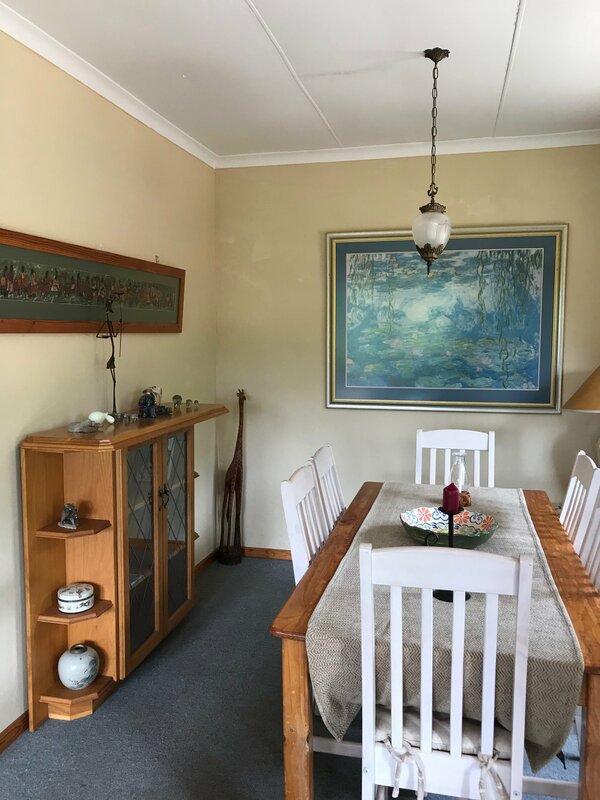 The large dining and living area, has DSTV and WiFi. 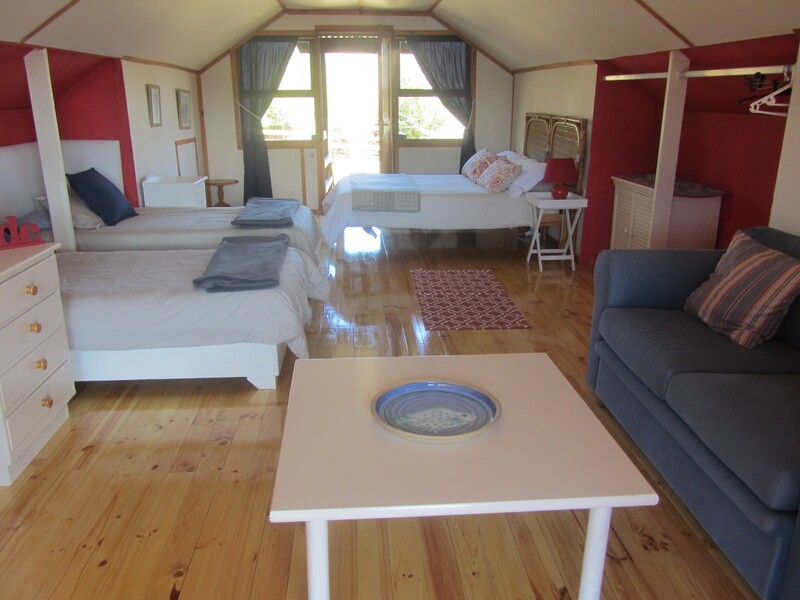 The upstairs loft, with separate entrance has a double bed and two single beds, as well as a coffee table and couch, which can also be converted into a sleeper couch. The loft has a wooden deck with a beautiful view. However, there is no bathroom upstairs so it is necessary that those sleeping upstairs use the bathroom in the downstairs part of the house (and there is an outside staircase). For that reason, the upstairs bedroom is only suitable for older children and mobile adults. There is a couch/single bed in the lounge for a small child to sleep. 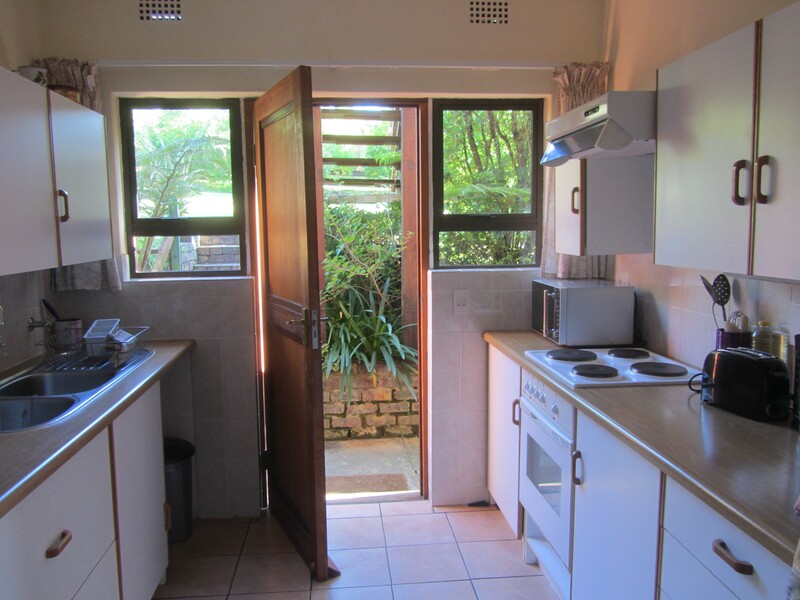 There is also a fully-equipped, and modern kitchen downstairs, a full bathroom (shower and bath), and braai facilities. Meals can be enjoyed in the spacious living area. All linen is provided, although we do ask locals to bring towels if they can. No smoking allowed. No pets allowed. 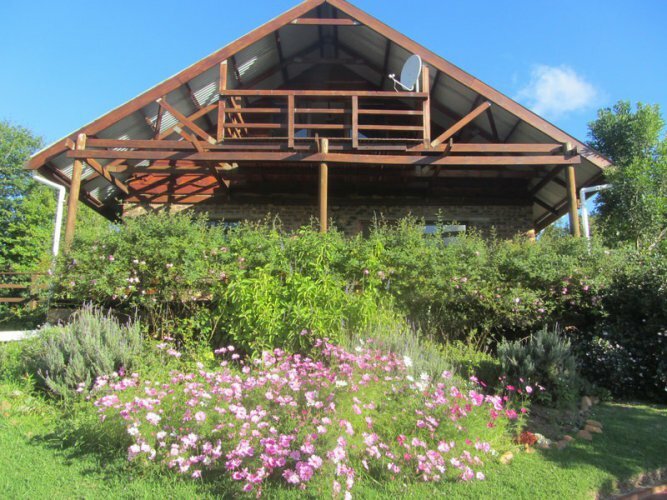 The wooden veranda is the perfect vantage point to appreciate the panoramic views of the forest and the birdlife and enjoy the peace and quiet. The area has also become well known for polo, and has been producing very fine wines in recent years! Bramon Wine Farm are our neighbours and you are a five minute drive away from their wine-tasting and excellent restaurant which specializes in tapas food of a very high quality. There is even a wine route in The Crags! In total we now have four wine farms to visit within a ten kilometer area. The Mill Centre is also nearby with its various craft shops and the Pepper Mill restaurant. Plettenberg Bay is an easy 20 minute drive away, with many more dining opportunities and plenty shopping ! The famous Plett Barnyard Theatre is in our road and have frequent music and theatre shows. Nature’s Valley is also just a short distance away. The white sands and clear blue waters provide the perfect setting to while-away lazy afternoons. Other beautiful beaches include Robberg and Keurbooms. Guests can visit the many restaurants in the area before coming back to relax in the swimming pool, while enjoying a beautiful sunset. But of course, the Garden Route is most famous for its spectacular beaches, the Knysna and Tsitsikamma Forests, and beautiful wide river mouths. 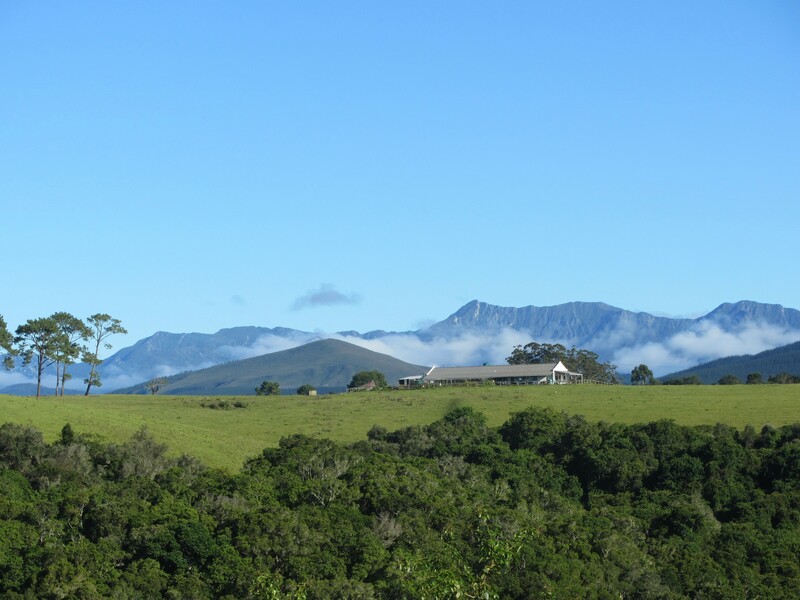 With our cottage as your base, you can discover the Garden Route, from Wilderness to Jeffreys Bay, the one day hike on the Otter Trail from Storms River mouth to the waterfalls and shorter walks through the ancient indigenous forests in the area. 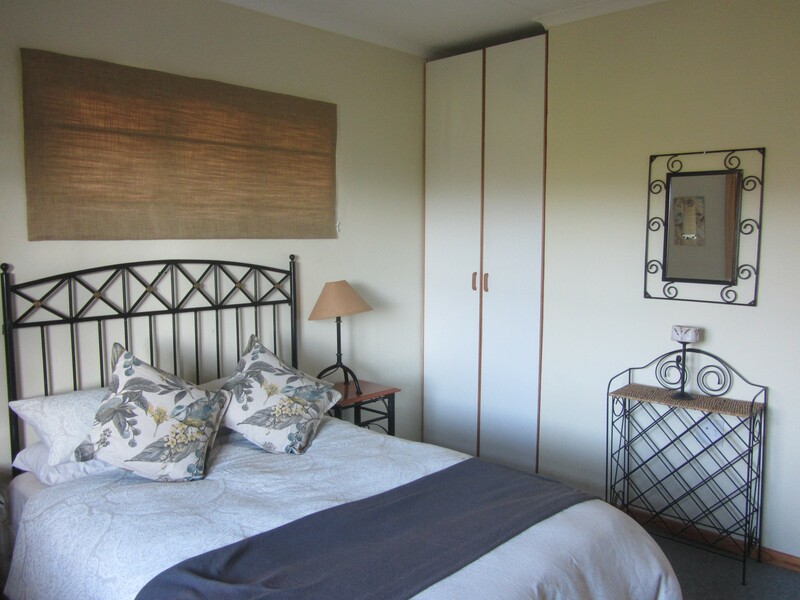 There are laundry facilities in the nearby town of Plettenberg Bay. We will do a change of linen on request, for long stays, but do not offer other laundry facilities as we are in the country and rely on rainwater. Rain water but we have back up from a dam.